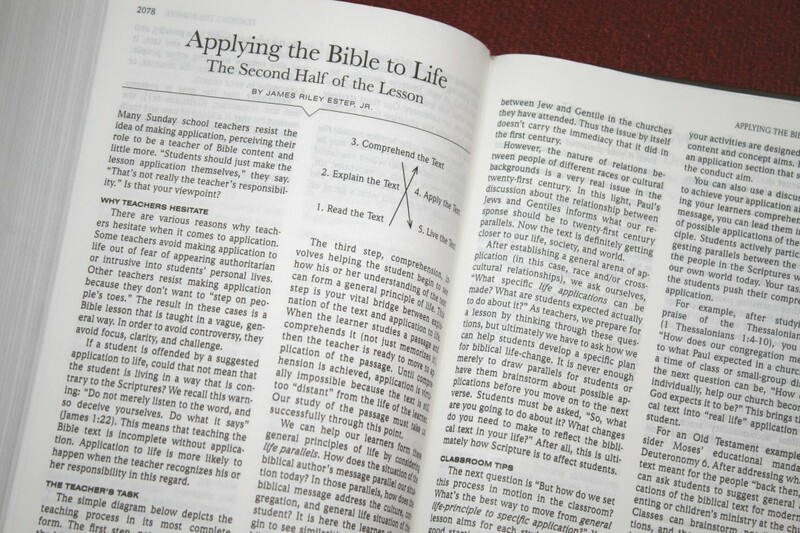 The Standard Lesson is an annual Bible commentary designed for Sunday school that provides a general overview of the text. 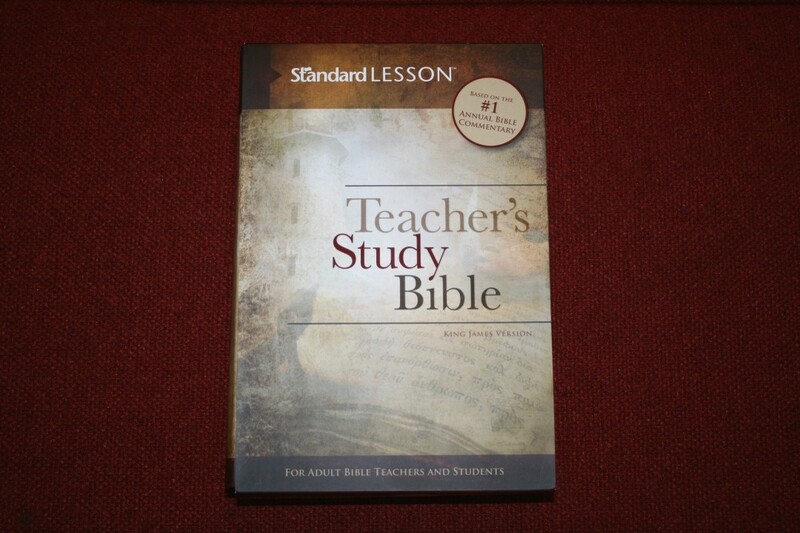 The Standard Lesson Teacher’s Study Bible is a Bible for adult teachers and students that’s based on that commentary. 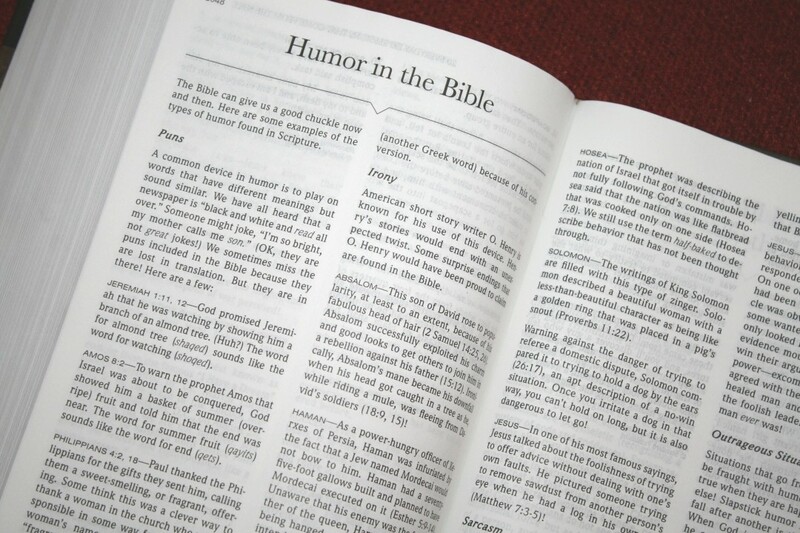 It’s available in KJV and NIV. 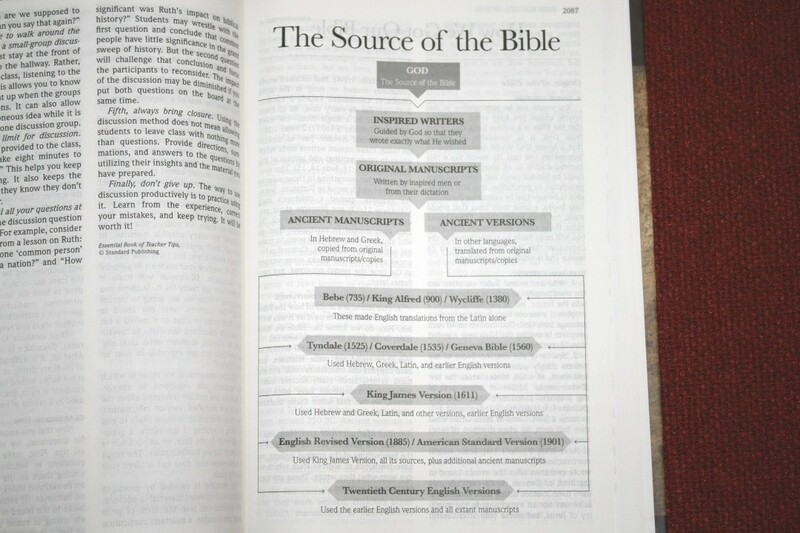 I’m reviewing the KJV edition, ISBN: 9780784774786, printed in the USA. 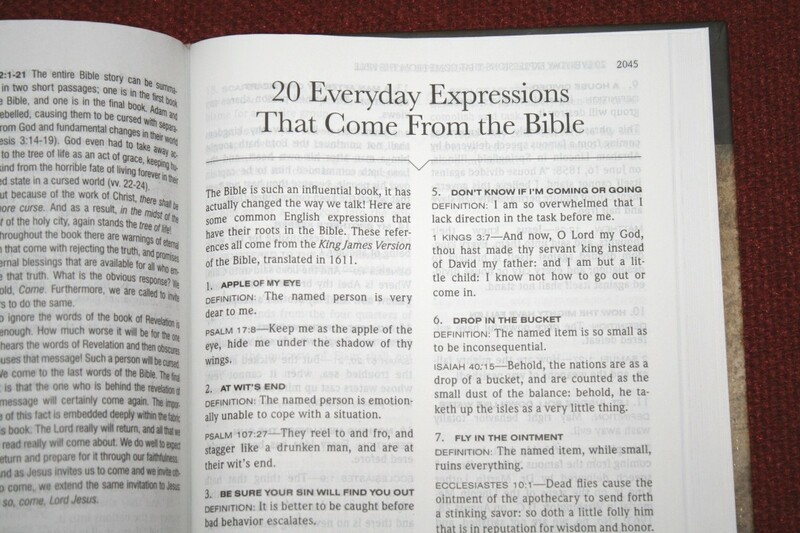 Standard Publishing provided this Bible free for review. I was not required to give a positive review, only an honest one. All opinions are my own. This is a hardcover edition. It doesn’t use a dust jacket. 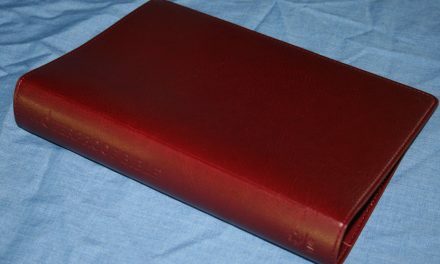 The graphics and colors are printed onto the cover, which has a glossy finish. I love the colors they used in the design. I’m drawn to brownish reds and tans, so these are my colors. The text-block has some stitching in the front and back, but the rest looks to be gluded. The paper feels to be somewhere in the mid to upper 30’s in gsm. 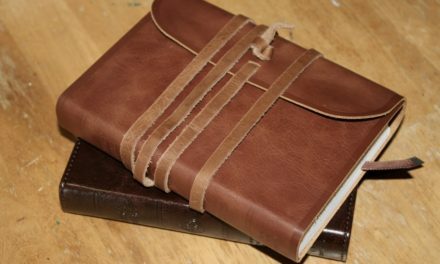 It has a rough texture that’s great for marking and for turning the pages. The paper is highly opaque and does not have a glare under direct light. 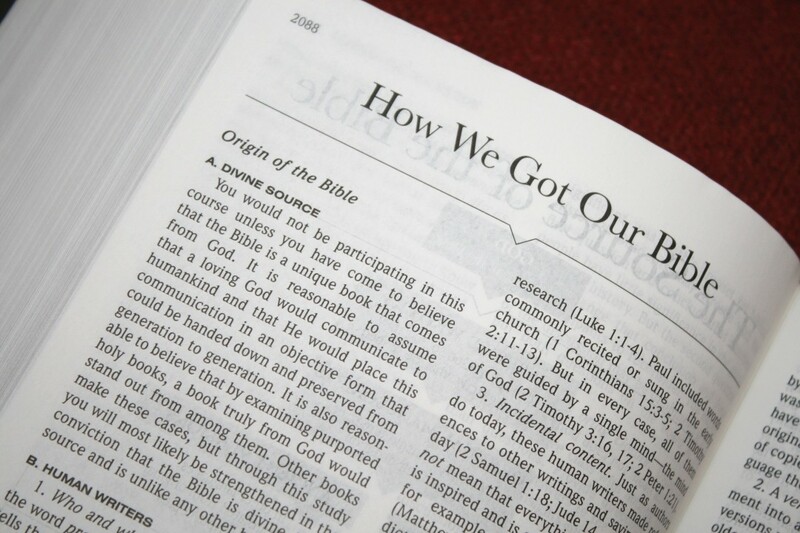 This is excellent paper for a study Bible. It has 2208 pages. 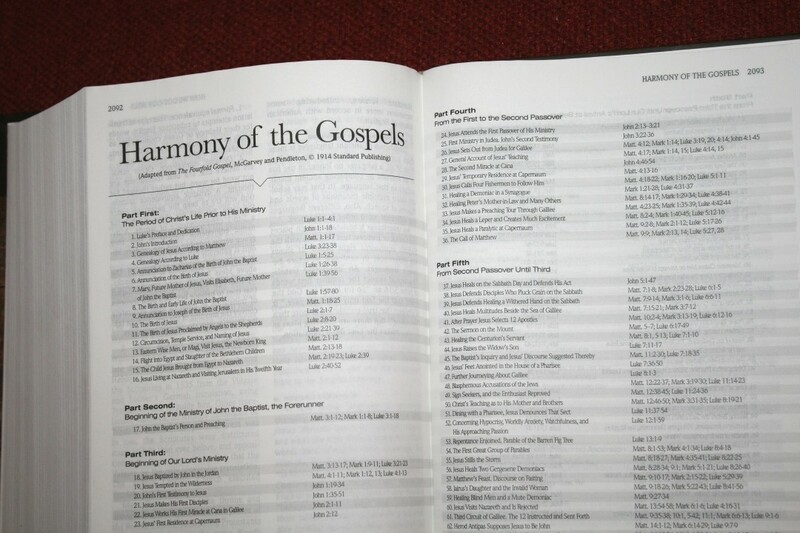 There are two columns per page. 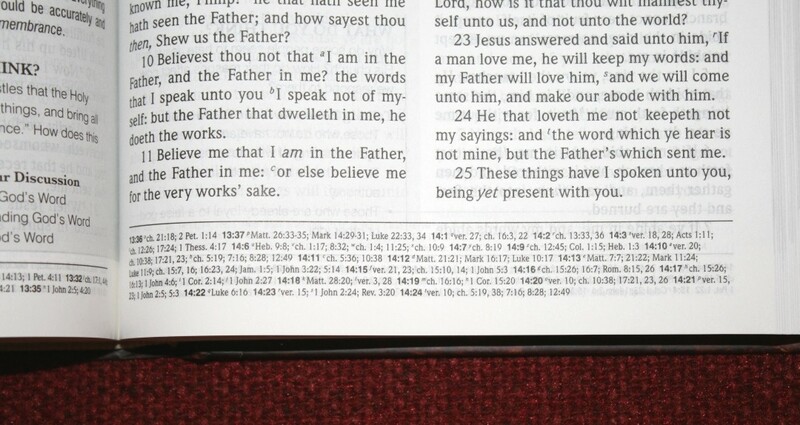 The text and the notes are placed within those two columns. Not every page has notes, but those that do place the notes in the right column. The note’s column has a gray background so it doesn’t blend with the text. References are placed in the footer across the bottom of the page. 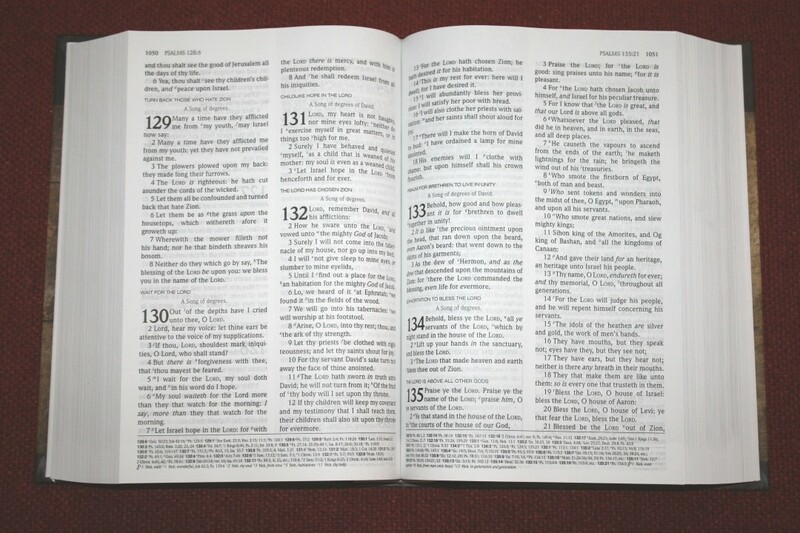 The header shows the page number in the outer margin and the book name, chapter, and verse number next to the page number. The font is 10 point black letter with a large leading (creating lots of space between the lines). It’s about a medium to dark in darkness. It’s sharp and consistent throughout. The text includes reference keys, but I did find them easy to ignore. 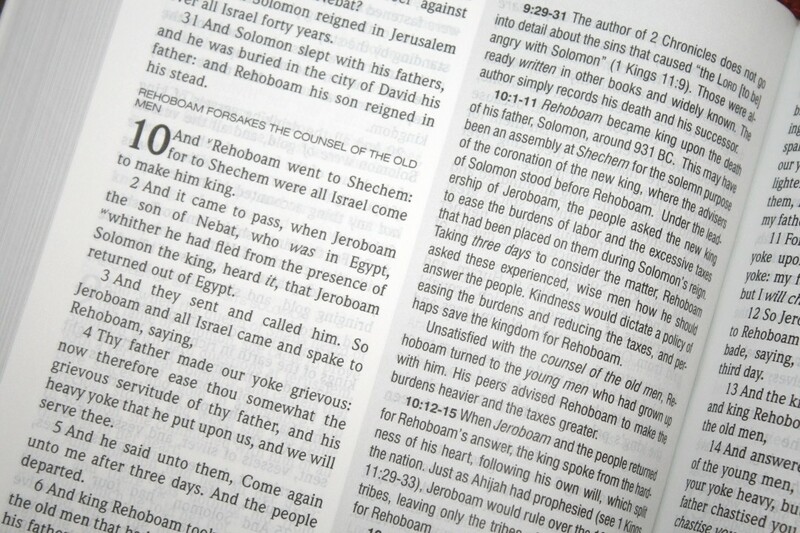 Section headings are in a smaller font and in all-caps. They don’t stand out but they’re easy enough to spot. It isn’t line-matched, but I could only tell because I was looking for it. It has around 42 characters per line and around 7-9 words per line. The text Never feels cramped. It does sometimes have extra space between the words, but I prefer this to having words without enough space. 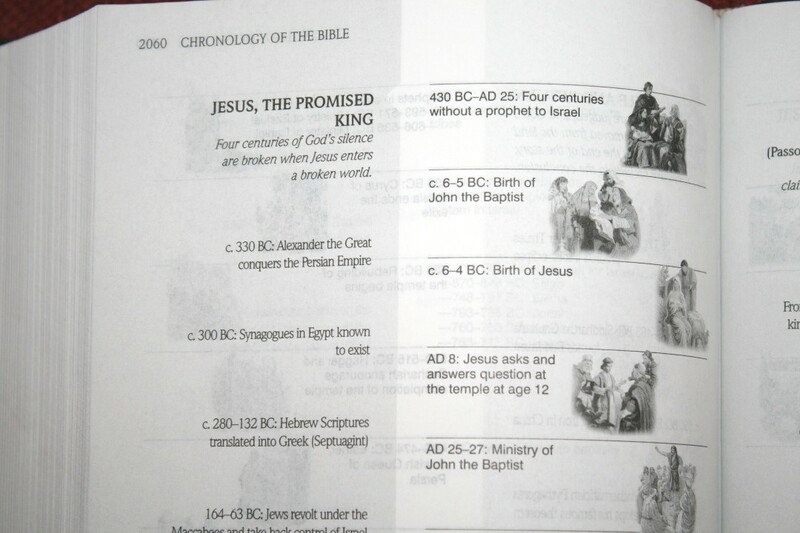 This is one of the cleanest layouts I’ve seen for a study Bible. 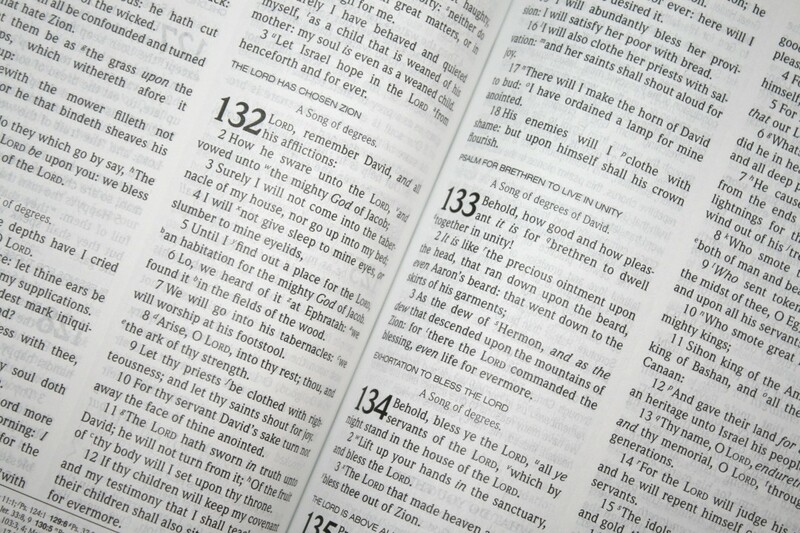 References appear at the bottom of the page and show the chapter and verse number in bold. They’re a little on the small side. I had no problems reading the references, but the reference keys are so small they’re hard for my 50-year old eye to see. They are sharp though and I can see them if I have good enough lighting. Book introductions take about 2 pages and include information about the author, audience, date the book was written, what to review before teaching the book, practical questions answered in the book, a teaching outline, key places, a map, etc. The information is short and simple. 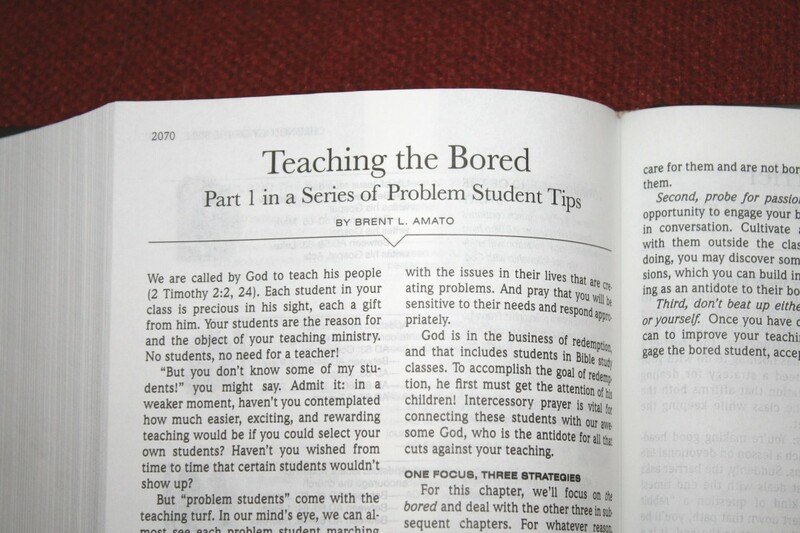 The focus is on teaching-points that a teacher would bring out in lessons. 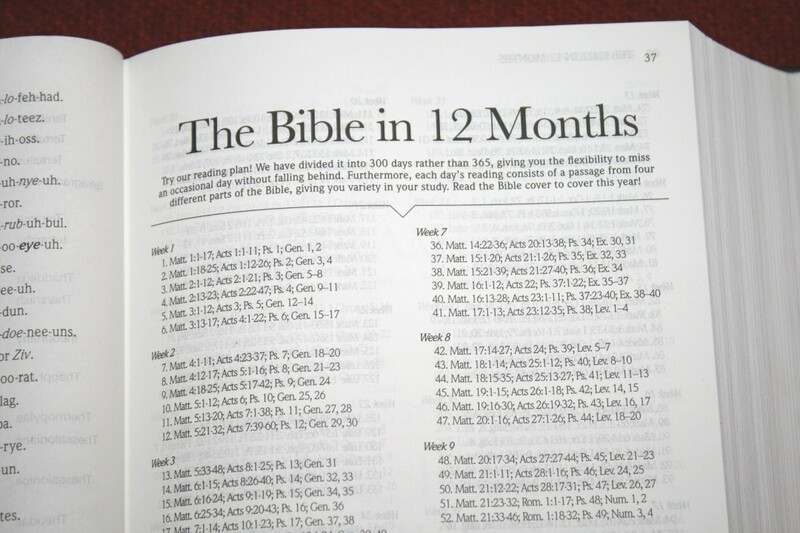 Reading Plan – This plan takes you through the Bible in one year by reading 6 days a week. It shows the week number with six readings. 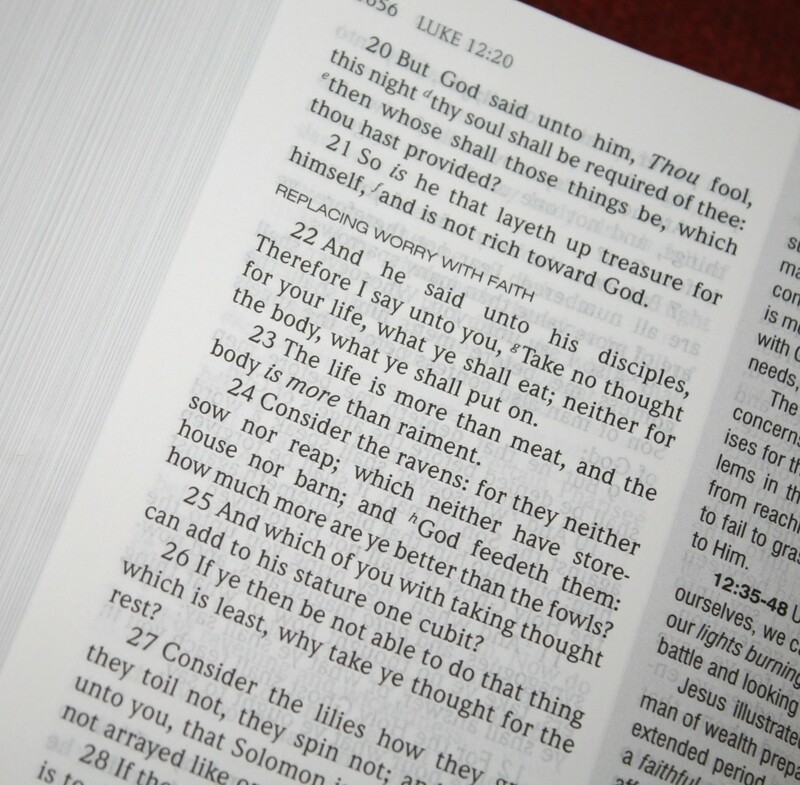 Each of the readings includes four different locations in Scripture: 2 from the NT, one from Psalms or Proverbs, and one from the OT. I like a 6-day reading plan. It’s too easy to get behind with 7-day plan when you have Church a few nights a week. 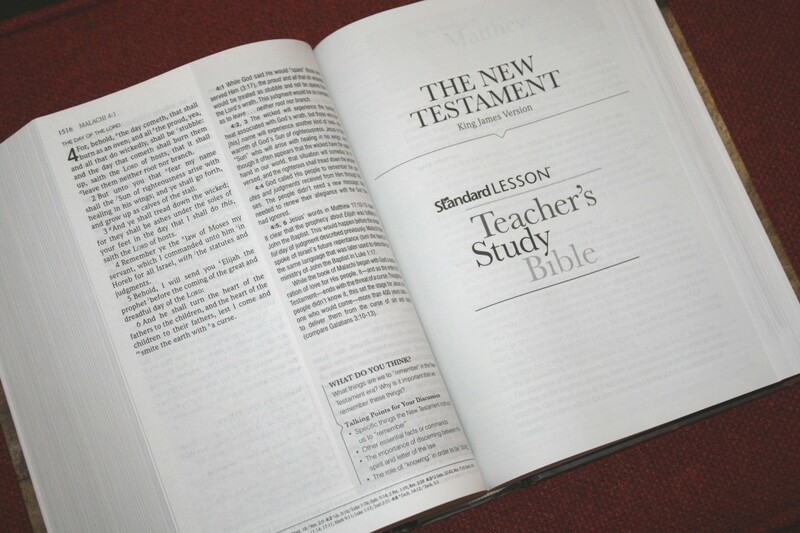 Study Notes – These are from the Standard Lesson Commentary. 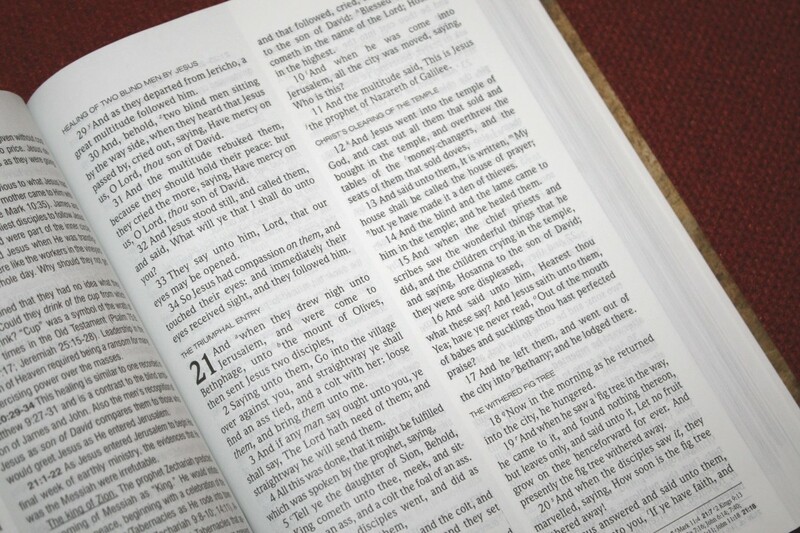 They cover 20,000 verses and appear in the right column of the page. 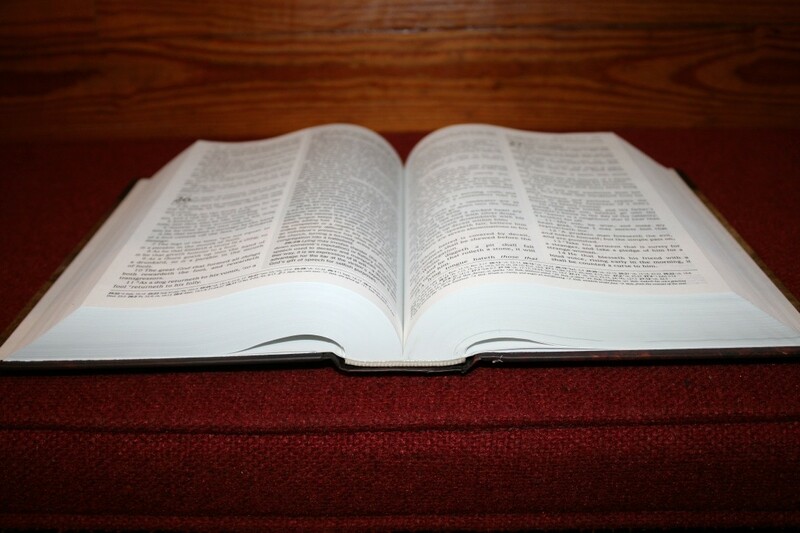 Many include references for more information. 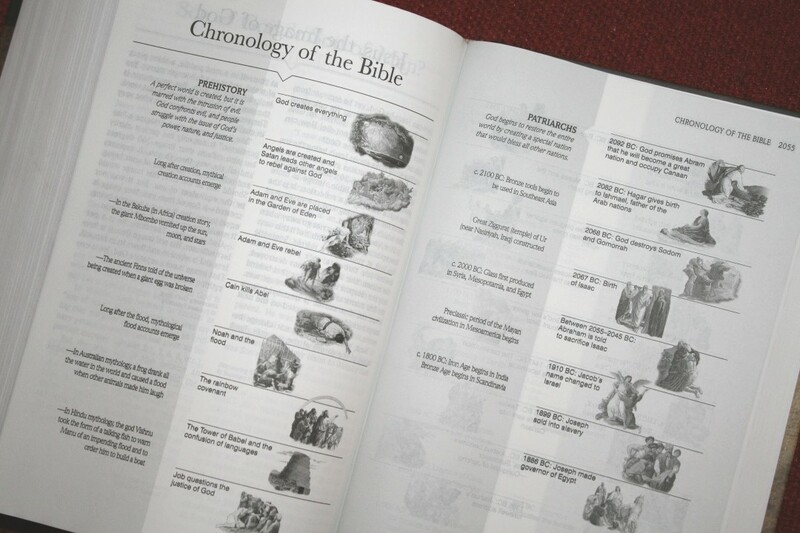 They cover culture, dates, historical events, places, insights on the Hebrew and Greek (without using the original words), simplified theology, etc. 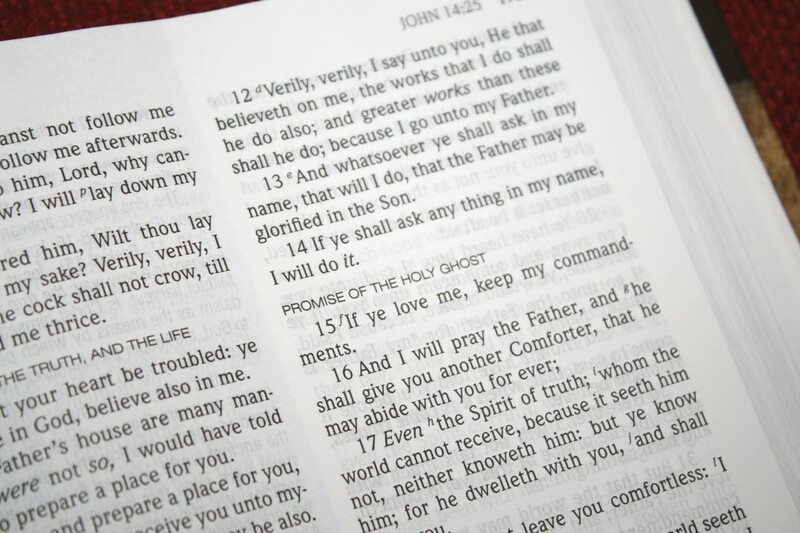 Some rephrase the text while others have more of a devotional quality. They’re well written and insightful. 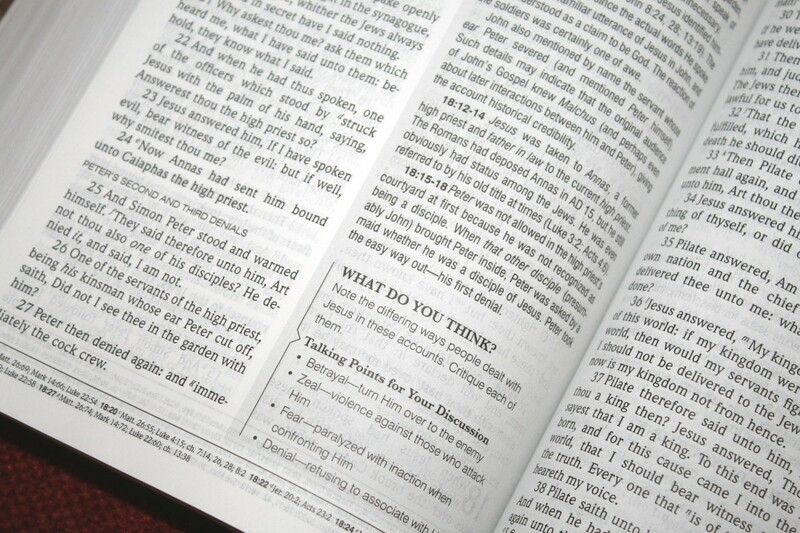 Talking Points – These are questions and points that appear under the notes. There are 800 of them. They usually provide a question about the text and a few points to discuss. 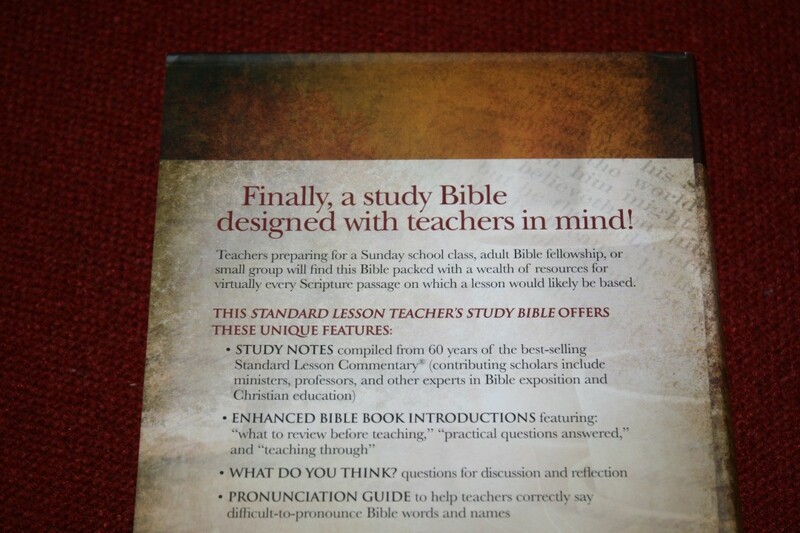 They’re great for helping teachers or small group leaders in leading a class to discuss the text further. 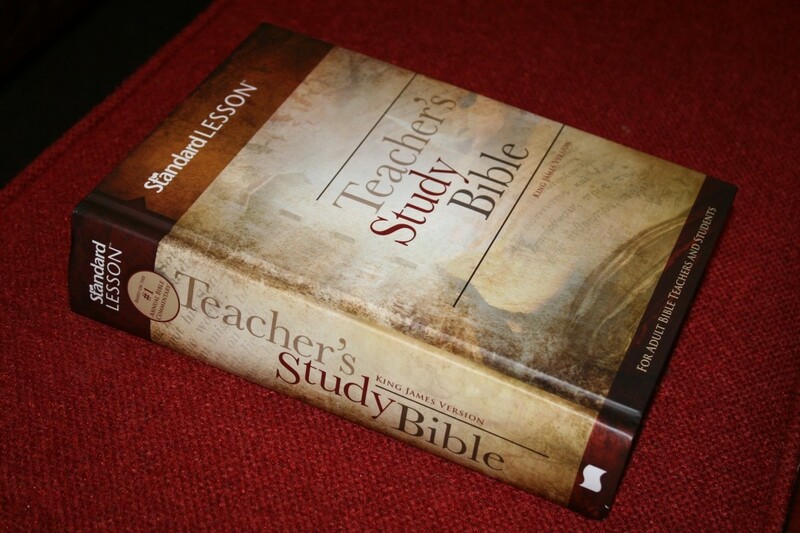 The Standard Lesson Teacher’s Study Bible is an interesting study Bible. It seems to be well-made, but I would like to see it in a sewn binding. 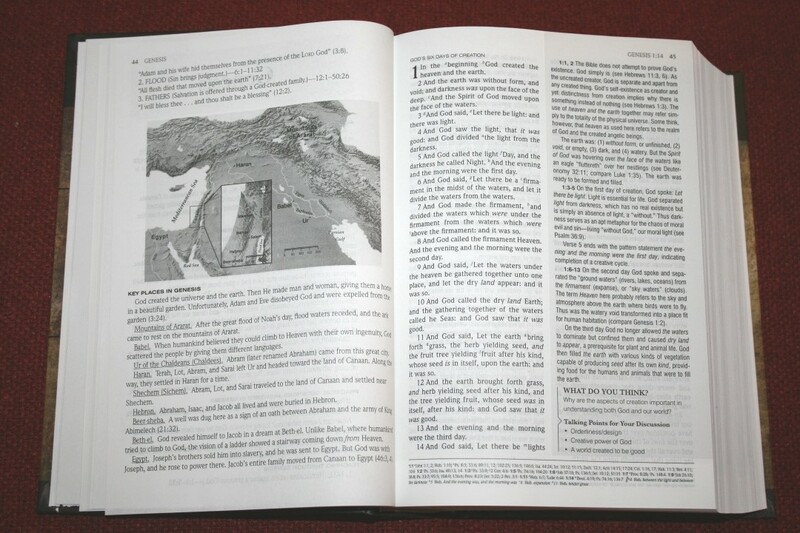 I especially like the paper and print quality, and this is one of the best and cleanest layouts I’ve seen for a study Bible. It doesn’t look cluttered on any page and is a joy to read and use. 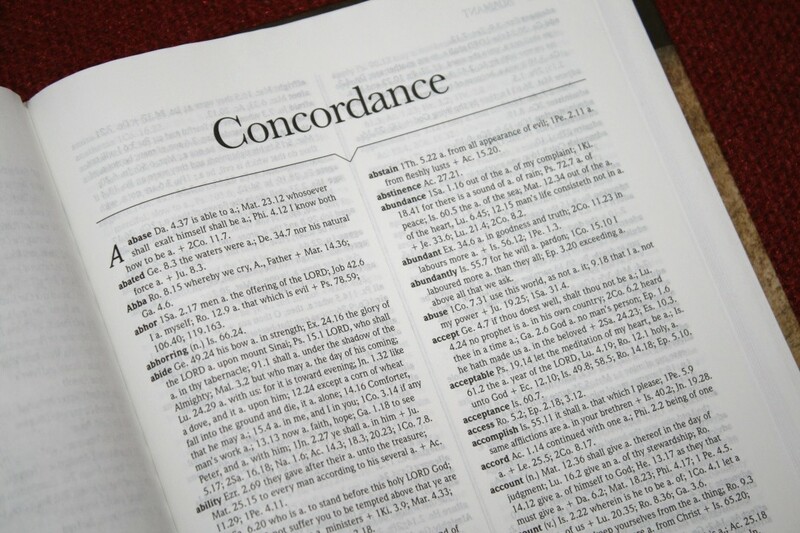 It does have some light theology, but it doesn’t lean too heavily toward any one group. I think most denominations would find them useful. 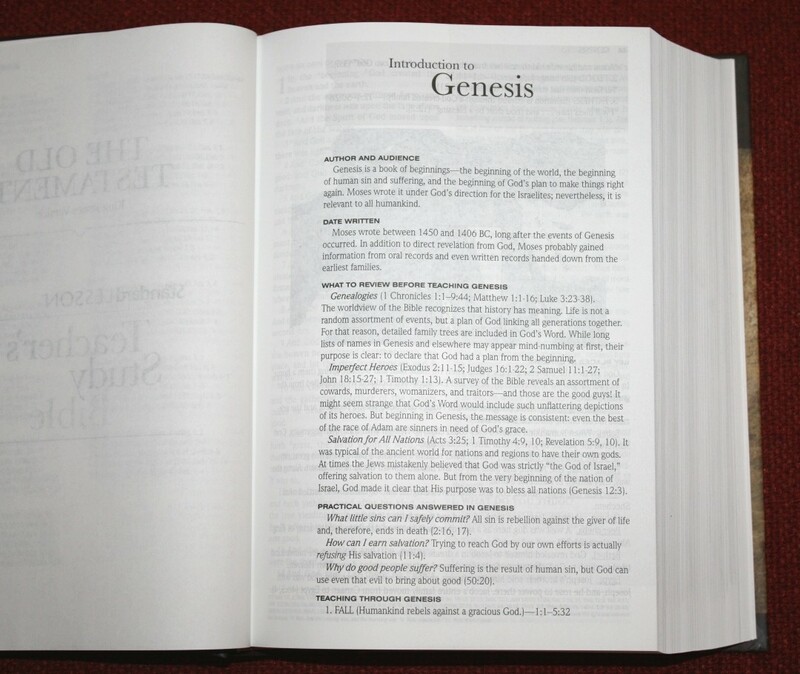 If you need something with deep theology this might not be what you’re looking for, but it is a good choice for anyone looking for notes that provide insights on the text from a historical viewpoint or a general overview. I’d like to see some lesson plans to help teachers in using this for class, but even without this it’s a good tool for teachers.